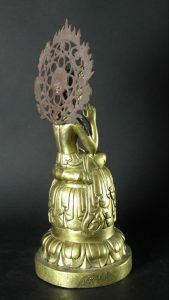 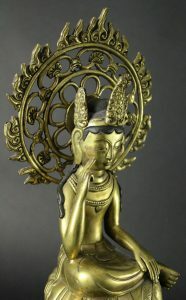 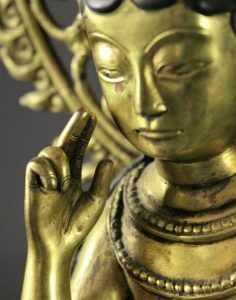 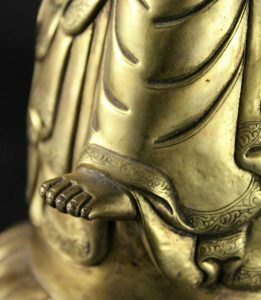 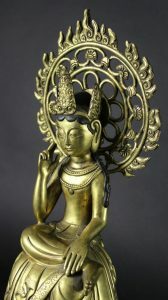 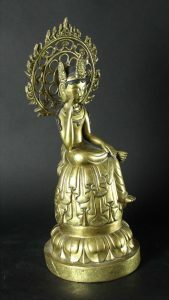 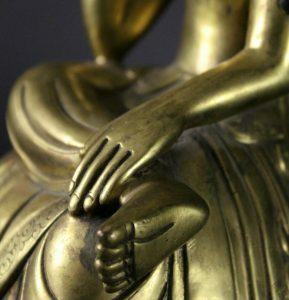 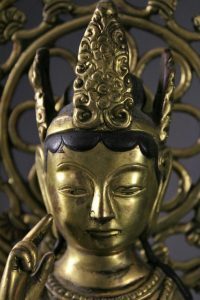 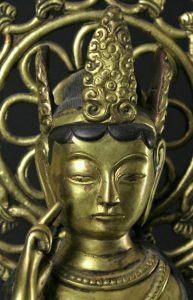 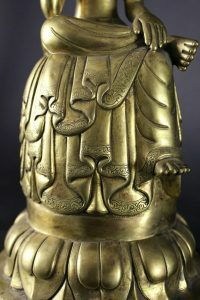 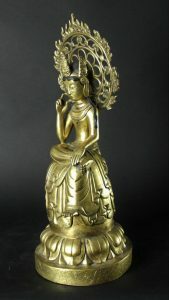 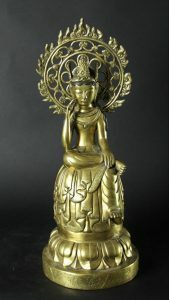 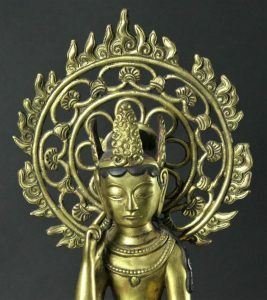 Gilded copper Maitreya Buddha with glory. 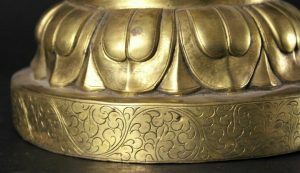 Very attractive Great craftmanship. 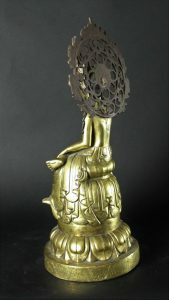 Lost wax half 20th century.